Happy official first day of Summer! It definitely feels like it arrived here in San Diego over the weekend, it was heatwave status! Today's outfit is all about basics that don't look so basic put together. 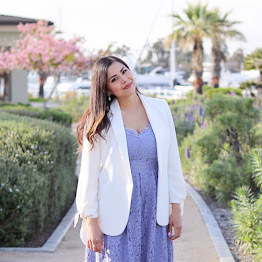 This outfit strikes a good balance of comfort and style with the dress being super lightweight and the jacket being a layer you can take off at any point. I have been obsessed with shirt dresses lately! I find them to be so versatile and easy to re-style. See how I previously wore it here. 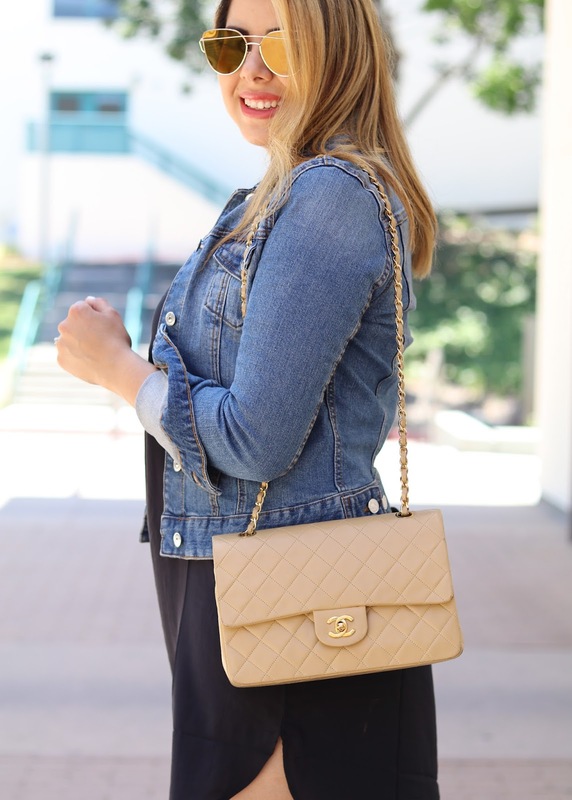 I can't get enough of this Chanel Purse, I like that it goes well with this casual look as it did with this dressed up look! Yeah it's super hot here! I love simple black dresses with amped up accessories! Love the outfit girl!